It's a reflection of the technological times that it was 1989 before Nintendo produced a profitable portable - its grey and green screen was far from cutting edge, but its relative affordability and battery life that obliterated the competition helped the system become dominant in the market. 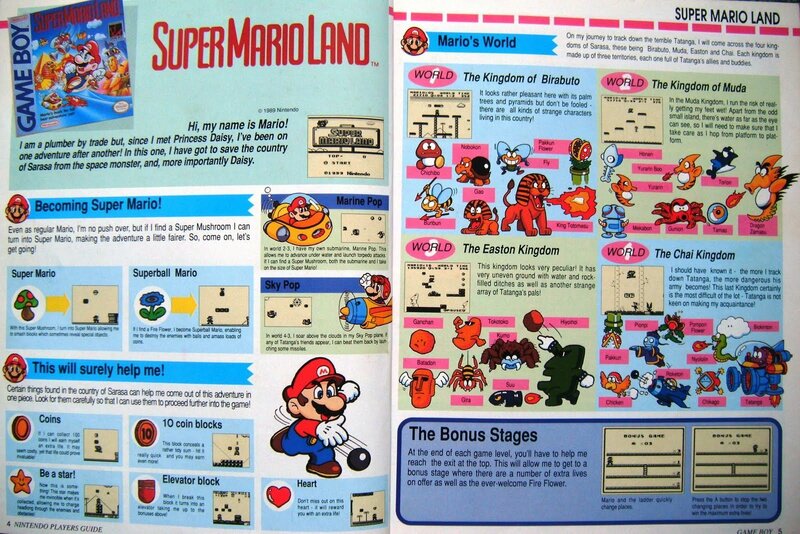 Super Mario Land, when first commissioned by Nintendo President Hiroshi Yamauchi, was intended as a system-selling launch title, and was likely planned as the bundle title in the West. Ultimately a wise call was made to bundle the addictive Tetris with the portable, but the prevalence of Mario made this title the most significant launch title outside of the Game Boy's box. Though its sequels would perhaps make a better use of the limited resolution and screen size of the Game Boy, it's worth acknowledging that any launch release faces a challenge in utilising a system to its full. With Shigeru Miyamoto being rather busy and Gunpei Yokoi and his team being behind the creation of the portable, it was the latter entrusted with creating this one. The absence of Miyamoto-san from the process - and the fact the franchise was still young at this stage - helps to explain how this release diverted away from the standard approaches of its predecessors. Not only was Sarasaland a new setting - with UFOs and references to ancient cultures, for example - but Mario was rescuing a new character, Princess Daisy. Beyond that the game itself stepped out of the standard platforming template, incorporating shooter stages and some quirky design. Due to its short length and these aforementioned design choices Super Mario Land can sometimes be considered as a sub-entry, or a lesser regarded part, of the overall Super Mario IP. Yet its part in the Game Boy story enabled it to be a huge commercial success, shifting around 18 million copies and out-selling the much-loved NES title Super Mario Bros. 3. As it happened, I had to endure a long wait, and wouldn't actually get my hands on my very own Game Boy system until a year or so later. My dad owned a video rental store and was given a free Game Boy console when he placed a bumper order for Terminator 2: Judgment Day on VHS, and thankfully this unit would find its way into my waiting hands. Super Mario Land was naturally one of the first titles I invested in, and I still return to it every few years. It's possible to finish it in a few hours [or much less! - ed], and while the lack of challenge may have been a concern to reviewers back in the early '90s, to me it represents the perfect way to spend an evening - allowing nostalgia to wash over me as I enjoy the game which will always been considered an outsider by Mario fans, but nevertheless introduced me to the world of portable gaming, and Nintendo itself. 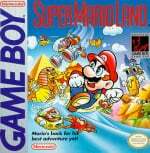 Super Mario Land may not fit cohesively into the Super Mario timeline in terms of its gameplay or design, but it remains a Game Boy classic to this day. As a kid, I enjoyed it. Mario seemed way too small. But the music was catchy! To this day I've still not completed the title. I never played this, but my fiancée still has her copy and I have the GBA player for the GCN, so it'll be a treat to look forward too. I love how Nintendo games keep working, decade after decade...there's always something you missed, that is new to uncover, today. Who doesn't love some brand new, Nostalgia?! @Agent721 But the GBA Player only plays Gameboy Advance games. Loved it when I played as a kid, still do at 30 years old. Heh, I have never noticed Daisy in the cover before. I remember playing this game at my aunt's game boy and loved it. I still hear the soundtrack and makes me feel very nostalgic. Yes, this game is shorter and weirder, but that gives it its charm. Nope, plays game boy games as well. I'm talking about the adapter that attaches to the bottom of the cube. It plays GBA & regular, OG, game boy games. I literally just played the game. It even plays them in more colors than what the Gameboy used to put out. People can have their opinions and say that this is a bad game, and surely to today's standards it doesn't hold up very well, but back in the day it was definitely a gem. I had loads of fun with this perfect little, miniature Mario title, and still do tbh.. Also, the music is awesome btw. (dat second stage tho ). Anyway, while it's the weakest of the 8-bit Super Mario platformers (well, aside from Lost Levels), it's still a very good game compared to its non-Mario contemporaries. I was finally able to play it thanks to the 3DS Virtual Console and enjoyed it quite a bit. That's a surprisingly good game. What a fun little game! I liked it better than Mario 1. The first Mario game I played! Since I was a Sega kid when it came to home consoles, the only Nintendo I played was the Game Boy. This was always a favourite of mine, feverishly trying to get through it in one sitting. I didn't, of course...well, I think I used an unlimited life cheat once and got all the way to final boss, only to lose hopelessly time after time until I had to put it down. It's an awesome game, criminally under appreciated. Playing nowadays on the eShop, I love the references to ancient civilisations that I didn't quite appreciate back then. I wish they would do more of it (running moai statues, anyone?) And of course, I appreciate the title reference used in Super Mario 3D Land. I never played SML2 or 3 until they came to the eShop, and I can honestly say I found the change in format and style to be disappointing. I don't feel the chunkier, console Mario sprites were a good fit for the Game Boy and the format of collecting 6 coins rather than working your way through different worlds was an unwelcome change. Plus, when losing all those coins upon Game Over and having to fight each boss again was annoying as hell. As for SML3, well it's basically a Wario Land game, as the title says. I wish they hadn't used the SML title because it's nothing to do with it aside from featuring the previous games villain in the starring role. In the end, I find it a shame they didn't produce another game in the SML series which continued in the same style as the first - a quick pick up and play platformer without any fancy hub worlds just like the original SMB. I remember bringing my old gameboy to school with it's HUGE case, this game, Tetris and maybe one other I can't remember. I never made it very far in it. I know I should be flogged and stones for writing this, but I played Adventure Island more on my Game Boy than SML. I ended up beating the game too fast and had a hard time getting in to it for multiple playthroughs. Thanks for the article though! Like it too, but cannot deny that it is absolute GARBAGE compared to Super Mario Land 2: 6 Golden Coins. I hated the "blur" effect on the original game boy while you run(although on the GBA SP I don't see it). Otherwise an amazing game for it's time, and still holds up well today IMO. @sleepinglion I agree totally, the music in this game was very catchy. It definitely set itself apart from other Mario games with the music, but you should take the time to go back and beat it. The graphics are still unimpressive but it's has some pretty interesting levels later in the game. This is a good game. It's on par with the original Super Mario Bros for me. I'm going to go out on a limb here and suggest that Super Mario Land 2 wasn't particularly that great a game either. Yes, I said it. Oh sure, as a kid I marveled at how they made a Mario game with a "Super Mario World" style fit on a tiny GameBoy cartridge. But today, this game is an example of style over substance. Looking past the grand monochrome graphics, you've got a decent Mario game with subpar level structure. Sure, the Mario tower and space levels were neat, but they just don't match up with the level design of the console games. I don't dislike the game, just feel it hasn't aged well. Link's Awakening on the other hand - now that sucker holds up! I have been playing this game since about 1990, which was on my friend's Game Boy (I had a Game Gear in those days). I have played it multiple times on various iterations of the Game Boy line, but am ashamed to admit I only completed it last year on the 2DS virtual console, thanks to the ability to save the game. Still felt pretty good to finally beat it after all this time! Funny, as I never struggled to finish SML 2 or SML3: Wario Land back in the day. This game was fun and in a way felt like an evolution of a Game & Watch game.